To help you maximize your radar system, EEC has made strategic improvements to our ongoing support services. Along with on-site maintenance and advanced training programs, we have recently upgraded our worldwide technical support network, and added three global support centers for faster responses. Your EEC radar system represents a significant investment in time, people, and money. That is why we have upgraded our technical support centers to give you 24/7 live telephone support. No matter what time of day or from where you are calling, you can talk to a trained, courteous EEC representative to help you solve the issue. Our customized training programs teach your personnel how to perform routine care and calibration of your systems. To augment existing maintenance programs, many customers also take advantage of our annual support and preventive maintenance plans. If the radar system has internet connectivity, we can check it via our remote diagnostic capabilities. And finally, should you encounter a bigger issue, we can send a factory trained technician directly to the site to diagnose and correct the problem. The forward-thinking technology available in an EEC radar system is capable of producing advanced information which exceeds the current needs of most users. Should your requirements specify this level of information, or your installation utilizes some of our most sophisticated equipment, we offer optional enhanced training in the use and maintenance of these features. 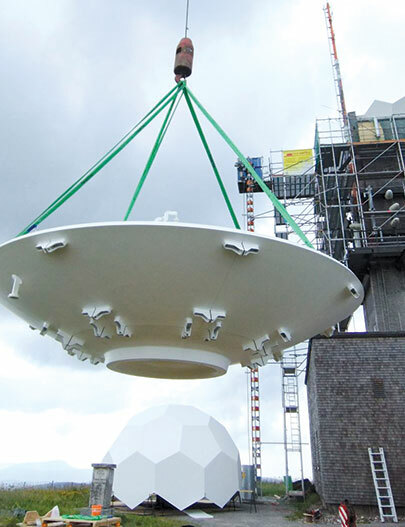 EEC has radar and/or satellite system installations in over 90 countries on every continent. To fully support all of these sites, we have opened fast response service centers in Bonn, Germany; Melbourne, Australia; and at our headquarters in Enterprise, Alabama. By placing these service centers in strategic positions around the globe, we can respond to you quickly and efficiently.